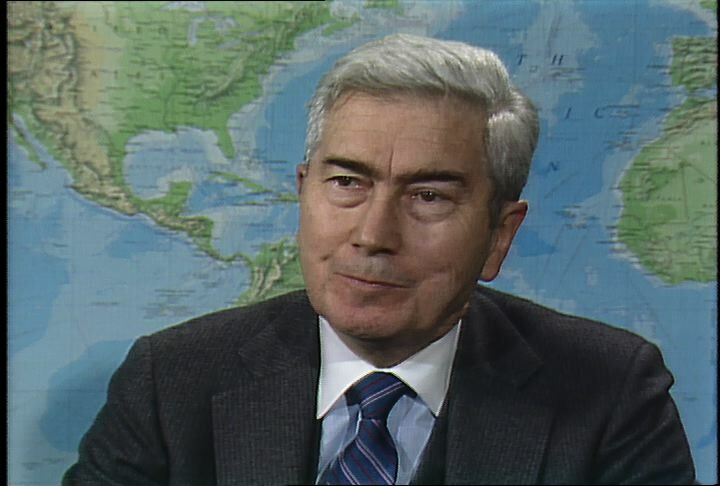 Fred Ikle was Undersecretary for Defense for Policy during the Reagan Administration, and Director of the Arms Control and Disarmament Agency from 1973-1977. In this interview he continues to discuss the nuclear policy of the Reagan Administration. He describes the ideology the new administration brought to Washington, the Republicans control of the federal government, the militarys reaction to the new president, and other topics. He compares the military goals of President Carter and President Reagan, and argues that the build-up of U.S. military forces, which began in the last year of Carter, allowed for successful arms control negotiations. He describes the Strategic Defense Initiative (SDI), and its evolution from the time it was announced in 1983 to its current state, as a combined defensive and offensive strategy. Does the United States really plan to use nuclear weapons? Or is their only purpose to deter others from using them? These questions fuel debate over the Mobile Missile known as the MX. The MX was designed in 1975 to counter the threat of large accurate missiles being bult in the Soviet Union. General Russell Dougherty of the Strategic Air Command recalls, “We had to have some more warheads ... with more accuracy. That was the rational for ... the MX.” It faced ten years of difficult questions in Congress, withing the military and from civilians. Was the missile meant to deter a Soviet attack or to survive one? One question led to another. There was one practical question: where to put the 200,000 pound 100 foot long missiles? In 1983 Congress approved production of 100 MX Peacekeeper missiles and based the first 50 in existing Minuteman silos. Chicago: “War and Peace in the Nuclear Age; Missile Experimental; Interview with Fred Ikle, 1987 ,” 11/24/1987, WGBH Media Library & Archives, accessed April 25, 2019, http://openvault.wgbh.org/catalog/V_C1A9B20A0E8841C8A2F0B2B14DC89790. MLA: “War and Peace in the Nuclear Age; Missile Experimental; Interview with Fred Ikle, 1987 .” 11/24/1987. WGBH Media Library & Archives. Web. April 25, 2019. <http://openvault.wgbh.org/catalog/V_C1A9B20A0E8841C8A2F0B2B14DC89790>.